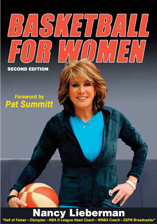 Basketball Hall of Famer Nancy Lieberman explains how to become a complete player in the new edition of her book. Lieberman shares what she has learned throughout her legendary basketball career and explains that striving for greatness means never backing down from challenges no matter the obstacle. 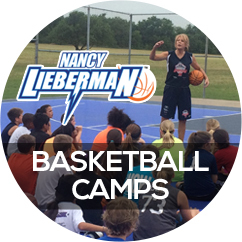 In Basketball for Women, Lieberman covers shooting technique, defense, passing, and training she has used throughout her extensive career. The book includes more than 100 drills for player development and plays for offensive, defensive, and special situations that can be implemented into today’s fast-paced game. There are basics that every woman must have if she is to succeed in the corporate world, start and run her own business, or coach her own winning team. 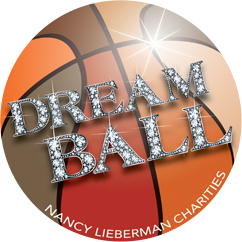 “In Playbook for Success”, Hall of Fame Business Entrepreneur Nancy Lieberman brings her leadership and coaching ability to the boardroom to teach professional women the same rules of success she teaches her players.